In stock and ready to ship! 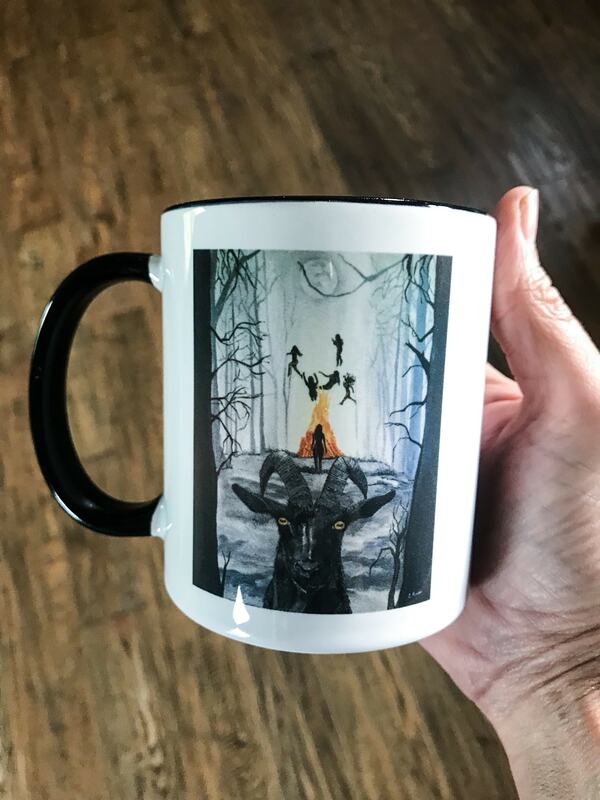 A magical mug for your magical morning drink! 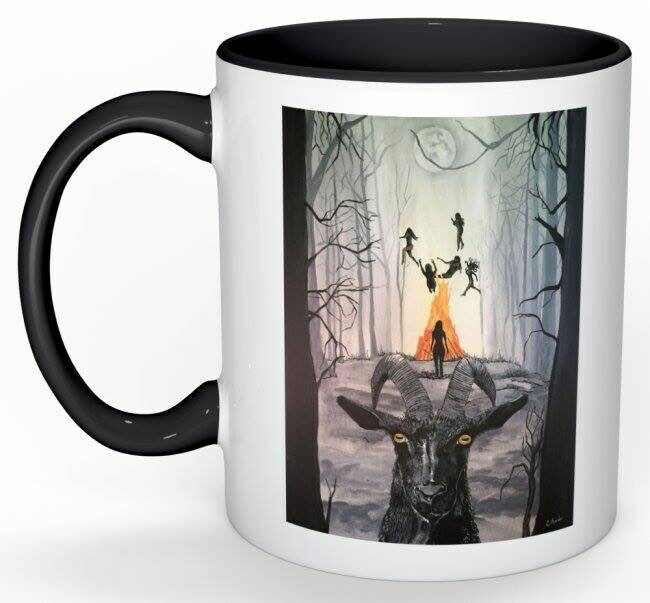 The art pictured on this mug is my original art that was inspired by the movie "The VVitch." 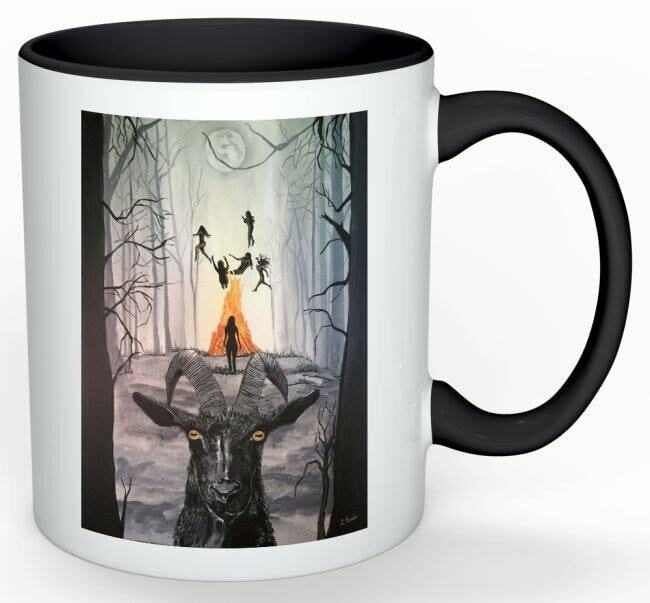 It is entitled "Live Deliciously" and features Black Philip in front of a foggy night forest. The fire is roaring in the background with witches attending Sabbat. The printed art is on both sides, so it doesn't matter if you are a lefty or a righty! 11oz mug with a black handle and black inside, for a nice contrasting color! The image is a little blurry. Still a coo cup. My boyfriend really liked this gift! If you wanna live deliciously, this is for you. I received my mug today and it's perfect! Thank you!